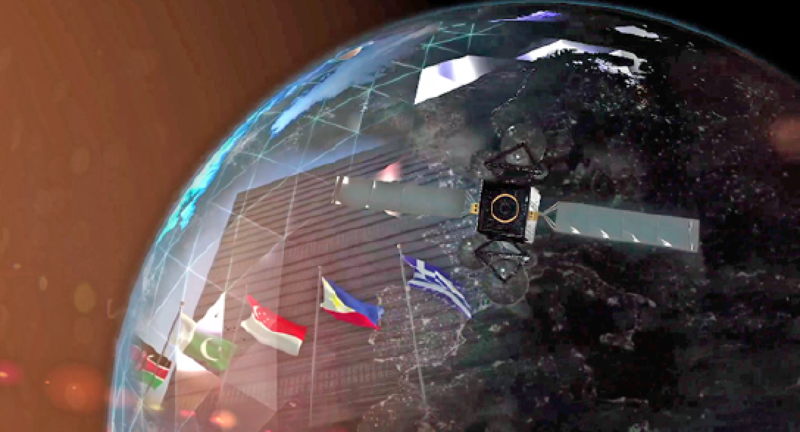 Artistic rendition of SES Network’s O3b mPower satellite constellation. Add in the threats resultant of the changes in the geo-political environment, where some nation-states actively contribute to the creation of instability across the globe. Preventing these threats requires constant access to information and there is no better counter for such incursions than resilient, flexible and secure satellite-enabled solutions. Escalating demands for GovSATCOM capabilities can be resolved though close collaboration between governments and the private sector. Simultaneously, shrinking governmental budgets mean offered solutions must be cost-efficient, effective and innovative to acquire military/agency/government (MAG) interest. SES Networks, a data-centric division of SES, has achieved success in this area in 2017 through innovative and close collaboration with governments and institutions. Also leveraged is the company’s unique, multi-orbit, multi-frequency satellite fleet. In fact, the combination of Geostationary and low latency Medium-Earth Orbit satellites is a technological leap that supports innovative solutions for governments. The company’s satellite fleet is a force multiplier for various missions and provides flexible, scalable and resilient services in all parts of the world. Today, SES Networks is providing solutions to defense and security stakeholders and fully supports 70 government entities across the world. In the ISR domain, for example, innovation is aimed at leveraging high throughput, low latency capability to bring UAS platforms that today have the capability of generating 5 to 10 Mbps of data capability to the needed delivery of greater than 50 Mbps during the execution of their missions. This promotes surveillance and reconnaissance missions to an entirely new level of competence. An example of partnership that drives innovation in GovSATCOM is the recent agreement between SES and the European Space Agency (ESA) that was announced in November. This is an important step for the European space industry in supporting the EU’s GovSATCOM initiative and leveraging governmental and commercial satellite services. The SES led project aims to bring together a consortium of European partners to deliver secure pooling and sharing of commercial and Government SATCOM in support of cross-EU SATCOM needs. Pacis-1 will demonstrate in-field usage of the system for civil protection, border control, humanitarian missions, maritime surveillance, among other applications. 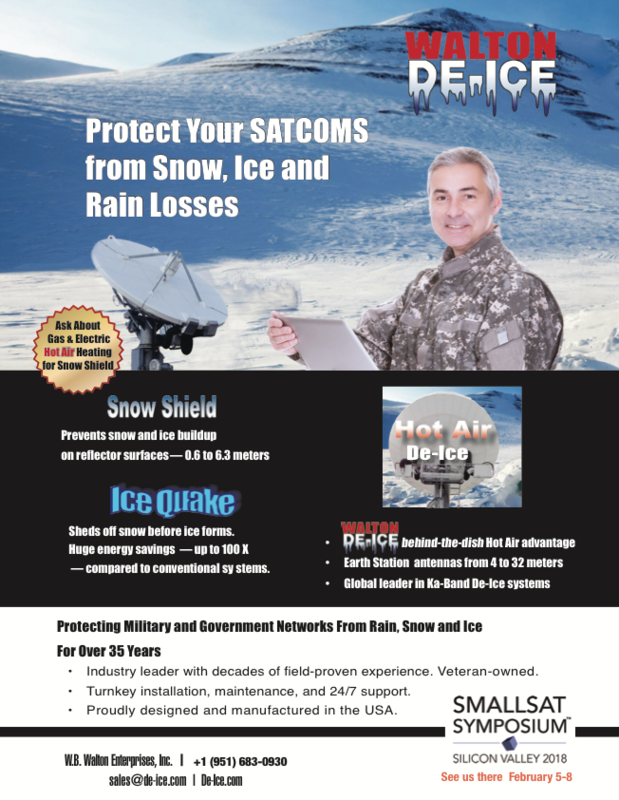 The mission will pave the way for governments to obtain flexible access to secure SATCOM in a cost-efficient manner. The members of the consortium will be providing specific technological contributions, including engineering, satellite capacity, commercial, project management and other services. SES’s satellite systems offer security required for government missions, leveraging its multi-band capabilities. Artistic rendition of the SES GovSat-1 satellite. In the ISR arena, the company has a track record in providing services to support UAS platforms for a number of governments and institutions across the world, including in the U.S. 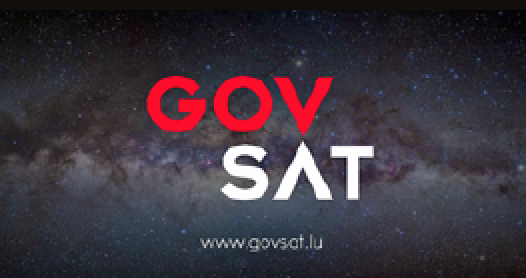 Furthermore, GovSat, a public-private partnership between SES and the Government of Luxembourg, delivers services for the Alliance Ground Surveillance (AGS) program for NATO. 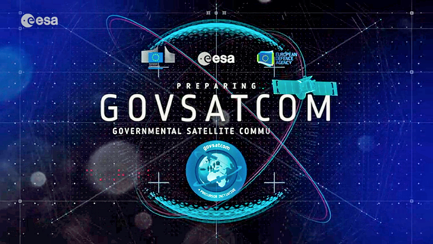 GovSat is already providing secure SATCOM capability to deployed military users in advance of the company’s first satellite launch, GovSat-1, this year. The missions supported by SES’s capabilities include sophisticated scenarios, whether airborne, maritime or terrestrial. In 2017, SES’s fully-owned subsidiary, SES Government Solutions (SES GS), won several key contracts to provide critically important managed network services to the U.S. Government. Through the leverage of SES’s MEO satellite network capabilities, SES GS delivers nearly 4 Gigabits per second of managed services in support of 13 global sites and will serve customers that range from the Department of Defense (DoD) to the National Oceanic and Atmospheric Administration (NOAA). In 2017, SES also expanded services for maritime missions for various governments, such as serving Navy missions for an ASEAN nation as one such example. Beyond traditional defense and security requirements, institutions and international organizations leverage SES’s solutions for such applications as supporting exploration, e-inclusion initiatives and disaster relief. As a case in point, SES Networks is involved in supporting connectivity service for several hundred expeditioners in the Antarctic. Recently, SES also deployed high speed connectivity solutions for peacekeeping troops who are engaged in some of the most challenging regions in Africa. Throughout 2017, SES’s capabilities have been driving the important mission of bridging the digital divide by providing hundreds of Mbps of connectivity in Africa. One such example is Burkina Faso, where SES Networks has been providing the full end-to-end connectivity solution to connect more than 880 sites for e-government, e-education and e-health. Supported by the Luxembourg Development Cooperation project and the Government of Burkina Faso, the initiative is changing the connectivity landscape throughout an entire county. Governments and international organizations also leverage SES’s capabilities to support disaster relief efforts. Following the devastating Hurricanes Irma and Maria in the Caribbean, emergency.lu — a public-private partnership with the Government of Luxembourg — provided connectivity to humanitarian responders in collaboration with the World Food Program and the Emergency Telecommunications Cluster. The portable emergency.lu terminals accessed dedicated SES capabilities to re-establish vital communications at the airport in Saint Martin and coordination centers in Dominica. SES Networks also collaborated with Project Loon to restore 4G connectivity in Puerto Rico, where satellite-enabled solutions are playing an important role in the island’s restoration efforts — in close collaboration with local and international partners. SES has been spearheading the deployment of High Throughput Satellite (HTS) capabilities to better serve commercial and government applications fueling the need for data. To continue enabling a wide array of innovative applications across the world, SES will be launching eight additional MEO satellites throughout 2018 and 2019, as well as GEO HTS. 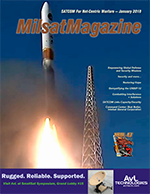 Early 2018 will note the launch of GovSat-1, a military frequency satellite with encrypted command and control as well as anti-jamming capabilities. The satellite will offer X- and military Ka-band capacity over Europe, Africa, the Middle East, as well as the Atlantic and Indian Oceans. power any mission imaginable, anywhere. A constellation of seven satellites for O3b mPOWER system is scheduled for launch in 2021. During 2018, SES will continue to increase the focus on tailored end-to-end GovSATCOM solutions to deliver resilient, diverse and robust communications systems. The company will work closely with governments and institutions to customize connectivity for applications such as border control, ISR, specifically devised connectivity platforms for rapid response, and more. Nicole Robinson serves as the Senior Vice President of Global Government for SES Networks and the Managing Director of Techcom Services. In this position, she is responsible for the company’s global business portfolio of government customers in the areas of defense, security, humanitarian, federal, civilian and institutional organizations. In the 10 years since Ms. Robinson joined SES, she has served in a variety of Executive roles leading teams in the area of government product development, business development, government affairs and marketing. Prior to joining SES, she served as the leader of the Strategic Communications function for the U.S. Joint Forces Command’s Standing Joint Force Headquarters (SJFHQ) with General Dynamics as well as the U.S. Army Center of Military History. Nicole Robinson serves as the Senior Vice President of Global Government for SES Networks and the Managing Director of Techcom Services. In this position, she is responsible for the company’s global business portfolio of government customers in the areas of defense, security, humanitarian, federal, civilian and institutional organizations.